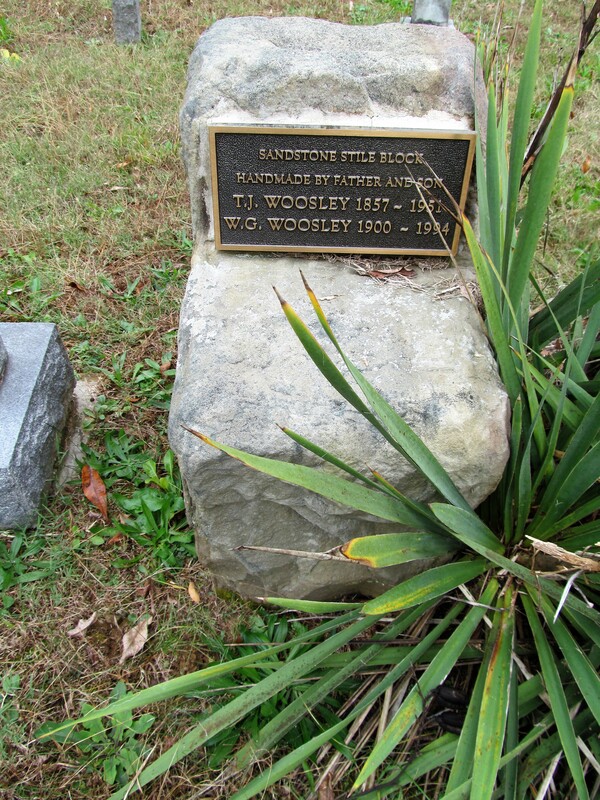 Today I would like to share information about the Woosley family, originally of Edmonson County, later Butler County. 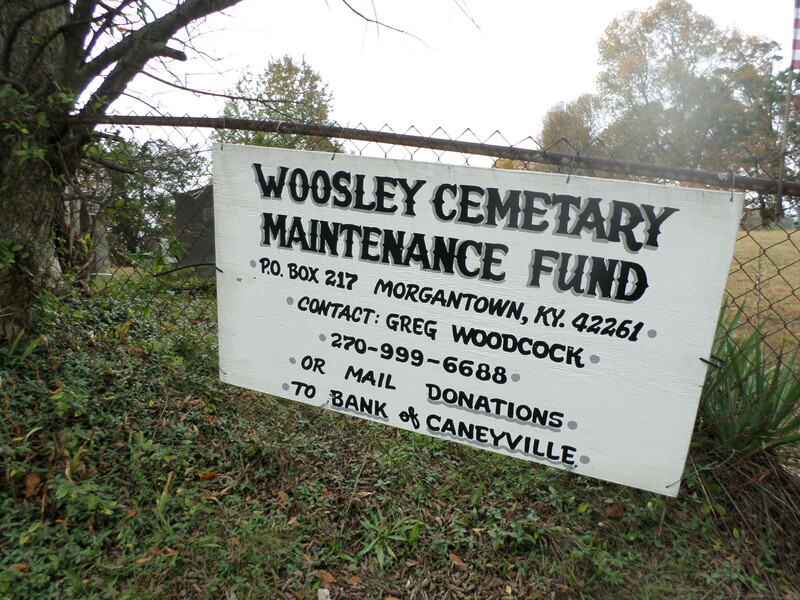 The Woosley Cemetery is in the most northeastern tip of Butler County, on Hwy 411, near the small community of Decker. 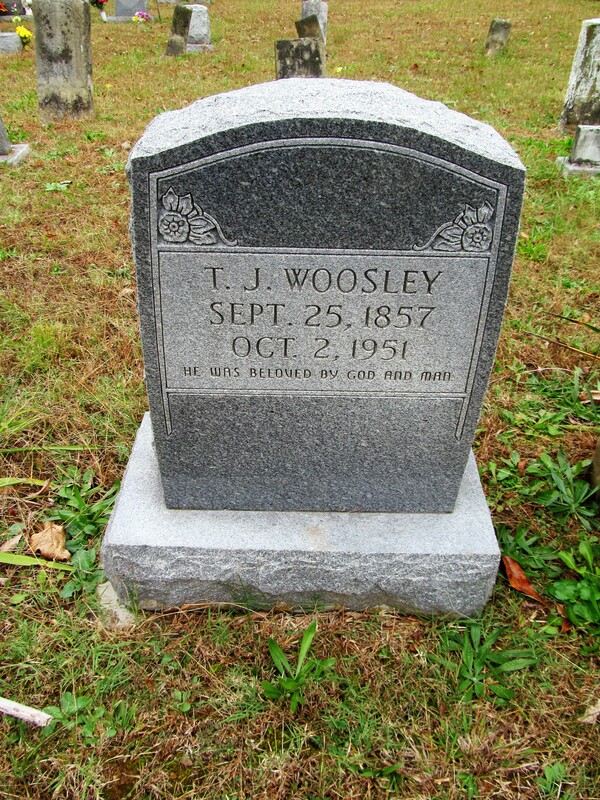 The two oldest graves for the Woosley family are those of Curtis and Elizabeth Jones Woosley. And that is where we begin our story. 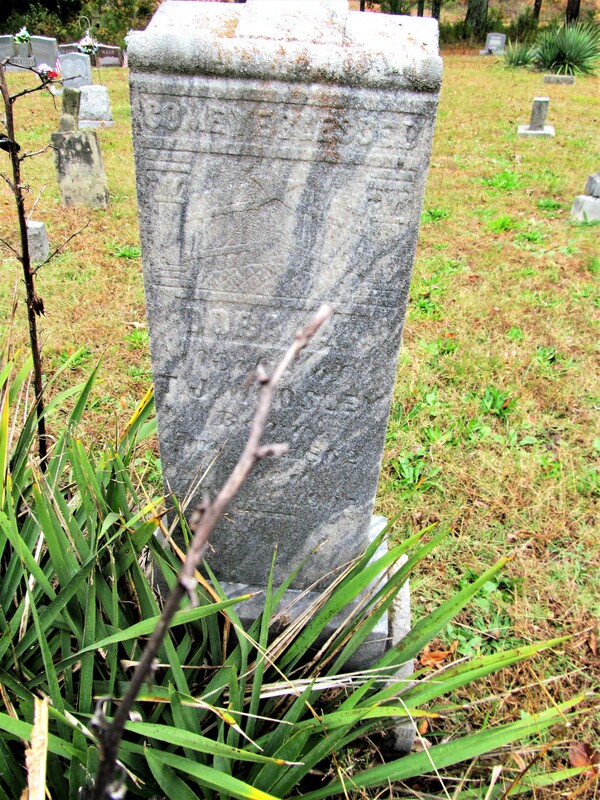 Curtis Woosley is the son of Samuel Woosley, 1802-1865, and Rebecca Blakley, 1808-1890. In the 1850 census of Edmonson County Samuel and Rebecca are listed as 47 and 43, respectively. Children listed were Curtis, 17; George, 15; Samuel, 12; Thomas J., 10; and Martha J., 8. Another individual living in the household is David Woosley, 75, who was born in Virginia. Quite possibly this is Samuel’s father. 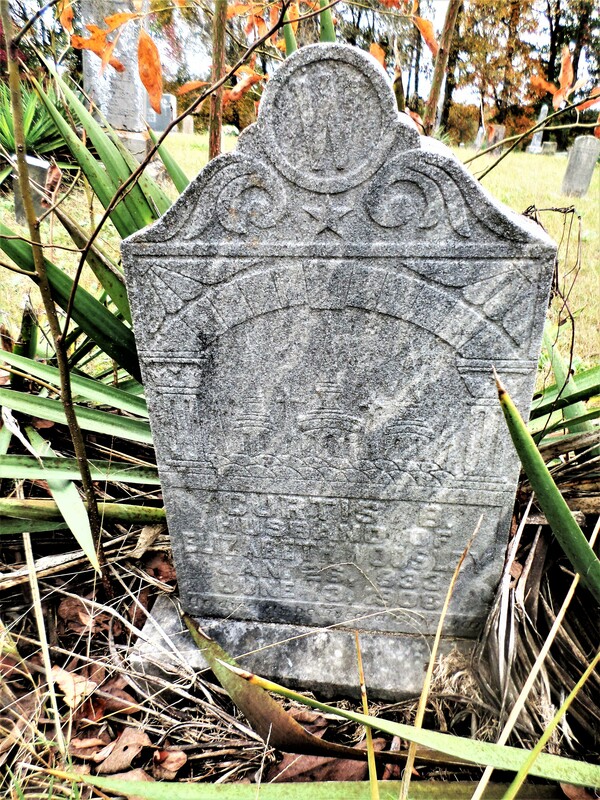 Samuel and Rebecca Blakley Woosley are buried in Mount Pleasant Cemetery in Edmonson County. Curtis Woosley must have been the first of his family to move to Butler County. 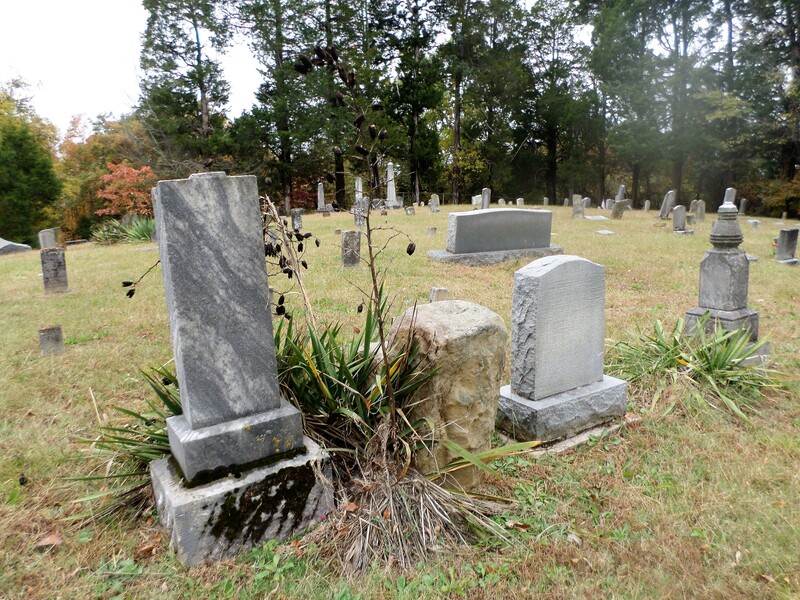 We find him there in 1880 with the following children – James S., 24; Winston D., 20; Rody K., 17; Joseph L., 17; Jacob D., 13; Arpy S., 11; and Reason A., 6. Son John H. Woosley was listed next in the census, 26; with wife Kitty E., 20; and children Solomon, 1; and William B., 7/12. Son Thomas Jefferson Woosley was listed next, 22, with wife Louisa, 19, and baby son William A., 8/12. Unfortunately, Louisa A. Cummins Woosley, died the next year. Thomas Jefferson Woosley next married Dora Alice Wilson, daughter of Solomon and Polly Wilson, with whom he had Estella Pearl, 1885-1918; Rebecca, 1887-1891; Thomas, 1888-1889; McCary Fieldon, 1896-1983; and Janie Alice, 1898-1953. The 1900 census of Butler County reveals two additional daughters – Willie C., 10; and Polly, 7. I think one of the most confusing parts of the census is names – in one census the child was called by his first name, the next census he was called by his middle name – or sometimes a nickname! I try to match ages – how old would that child be ten years from 1880? That is not an exact science since parents could confuse ages and make the child a little older or a bit younger. But we try! 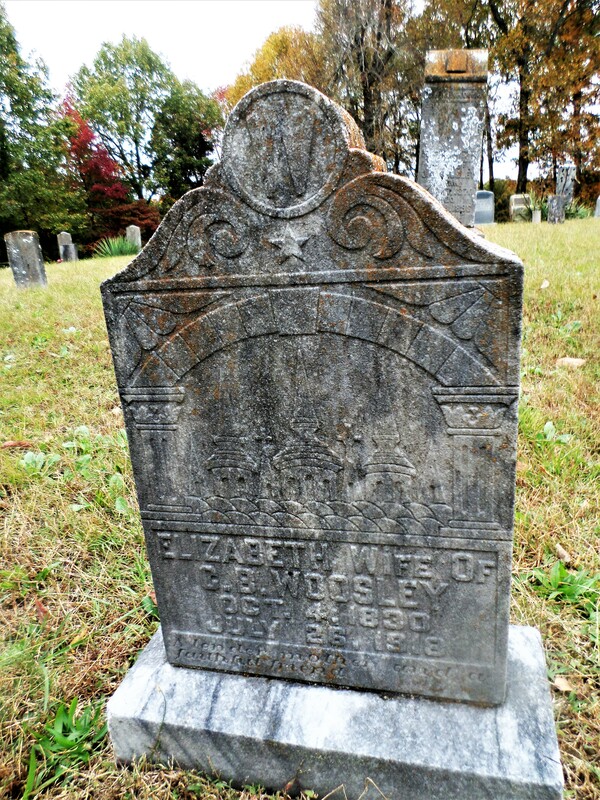 Dora Alice Wilson Woosley died April 11, 1907, age the age of 44, of pneumonia. 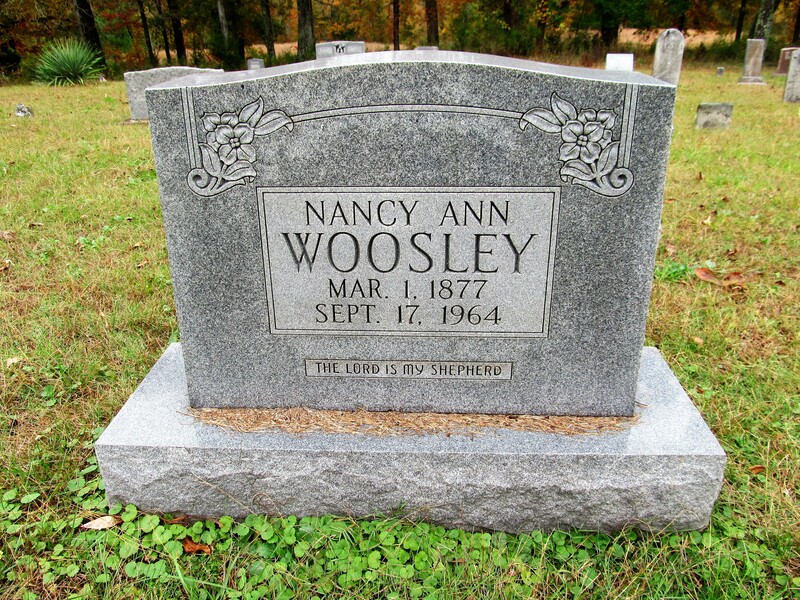 Thomas Woosley married Nancy Ann Bryant after her death. He and Nancy had three children – a son named Goldie, a daughter, Edra, and a son, Clayton. Sandstone stile block from back, between Thomas and Dora Woosley’s gravestones. I thought this was so impressive – and such a wonderful place to put this stone in the cemetery – otherwise it may be lost and forgotten. What a wonderful tribute to father and son. And do you know which son this is? The one named Goldie in the census! Do you have any information on the Huston Family of Lexington? Specifically, Thomas Bodley Huston, his father Robert Perry Huston, and his mother, Mary Bartholomew Huston?